For the traveller, India offers the best to see and at prices which few destinations can match. So is the case in medicare – some of the best facilities for general medicine as well as specialized care, state – of – the – art technology, professional and dedicated expertise and well – equipped hospitals. And, at prices which few, if any, other country can match. India has vibrance and a diversity that very few countries in the world can match. It has different meanings and interpretations for different people. Some associate India with being the land of the Raj while for other it symbolizes the charm and the glamour of the Taj. For some the attractions are the varied culture and heritage and for some it is the land of religion and a complete spiritual experience. India offers an amazing variety of experiences and adventures. From the beautiful Himalayas in the North to the plateaus, tropical rain forests, sandy deserts and palm fringed beaches in the South – India provides a staggering number of topographical variations. Equally enchanting is the cultural diversity of India, which is the result of the coexistence of a number of religions like Hinduism, Jainism, Buddhism, Christianity, Zoroastrianism, Islam, Sikhism and many more. The towering temples in South India which are easily identifiable by their ornately – sculptured exteriors and interiors are associated with great many crafts and performing arts of the region. In Western India lies the desert of Kutch, where the tough lifestyle is made vibrant by a profusion of jewellery and ornamental embroidery. In the north is the Himalayan range which makes the state of Jammu and Kashmir, probably the most beautiful place in the world. Then there are the Colourful tribal lifestyles of the north –eastern states of Assam, Nagaland, Manipur, Mizoram, Tripura, Meghalaya and Arunachal Pradesh. For those who are interested in sightseeing, India offers an unending choice. In north India the foremost attractions are Agra, the city of the Taj Mahal and Kashmir with normalcy fast returning to the state. Ladakh, which showcases one of the best living traditions of Tibetan Buddhism in the world today, with its hilltop monasteries and colorful way of life, is also a sure shot attraction for tourists. Another region tourist’s love is the state of Rajasthan for its forts and palace hotels. In the West, The Gateway of India is a popular sight in Mumbai. Goa’s coastline provides endless sun-drenched crescents of sand and facilities for parasailing, yachting, windsurfing and deep-sea diving. In the South, the temple towns of Mahabalipuram, Kanchipuram and Thanjavur are big attractions. The state of Kerala is also high on the priority list visitors to India for its remarkable heritage of performing arts, Ayurveda healing centers and the breathtaking natural beauty of its backwaters. The city of Mysore has a large number of palaces and museums. Towards the East, the city of Calcutta can be called the storehouse of Raj memorabilia. The Sun Temple at Konark, close to Puri, dating back to 13th century is a masterpiece of Orissan temple architecture and one of the few sun temples in the country. Then, the state of Sikkim is a paradise fort he sightseers, the adventure sports enthusiast and those interested in Buddhism and Tibetology. In addition to the innumerable sites that India offers, to many it also offers spiritual attainment. Holy cities like Rishikesh, Varanasi and Haridwar are constantly receiving a number of tourists who are over whelmed by the spirituality that India has to offer. As a part of Medicare Team we would like you to konw about the hospitals and facility available in India. 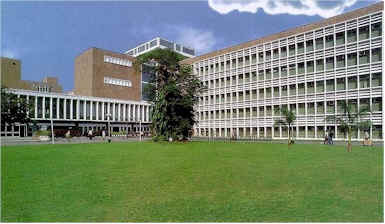 AIIMS contribution in the fields of medical education, research and specialized treatment is widely acknowledged. The main object of the institute is to demonstrate high – standard of medical education, training of personnel and to conduct experiments and research in various disciplines of medical sciences. The Apollo Heart Hospitals have eight state-of-the-art cath labs. Plain balloon angioplasty, directional coronary arthectomy, rotablatory coronary artery stenting, intravascular ultra sound valvuloplastry and non-surgical closure of heart holes are performed. It had reduced the average length of stay of a patient from 11.5 days to 6.5 days, achieving global standards. The hospital chain has treated hundred thousands of patients from all over the world. Its success is apparent from the fact that in the last few years over 30,000 open heart surgeries, 60,000 coronary angiograms, 15,000 angioplasties, 3,000 coronary stents and 2000 mistral balloon valvuloplasties with a 98 per cent success rate were performed. Over 2000 renal transplants have been performed with an 88 percent success rate. • First hospital to perform angioplasty in 1989. • First successful case in Asia for Directional coronary arthrectomy. • Performed first four cases in the country occlusion. 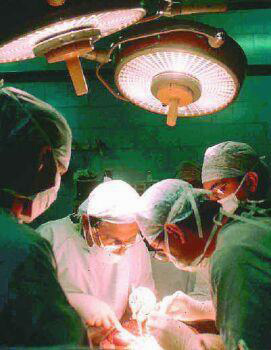 • Successful completion of 20,000 open-heart surgeries with 98.50 per cent success. • Preventive Health Care - This feature was introduced for the first time in the country by Apollo Hospitals with hospitals metros of Hyderabad, Chennai and Delhi, within easy international air access. The professional chain also pioneered the concept of lifestyle clinics, established the first organ registry in the country and introduced non-invasive technique for treatment of lesions and tumours of the brain – Stereo tactic Radio Surgery and Radio therapy in the country. It recently installed a state of-the-art Cobalt Unit. Apollo heart Hospital provides a complete network for cardiac patients. It has a total bed capacity of 500 beds distributed between Apollo Chennai, Hyderabad and Delhi. Apollo is linked to the Mayo Clinic and the Minneapolis Heart Institute, a premier heart institute led by the team of doctors who pioneered the Jarvik artificial heart. Apollo Cancer Hospital, Chennai is the first hospital in the country to be awarded the ISO 9002 certificate. Special surgeons for individual organs supported by reconstructive and plastic surgeons of repute provide treatment for head and neck cancer, breast cancer and malignancies. 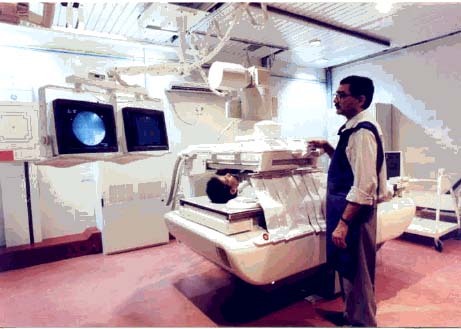 Facilities offered include tele-therapy which includes simulation work stations to ensure high precision and safety during treatment at the 18 MV linear accelerator or telecobalt machines, brachy therapy and 3-D planning systems. B.M. Birla Heart Research Center in Calcutta is a super specialty hospital dedicated exclusively to the diagnosis, treatment and research related to cardiovascular diseases. It has established itself as India’s most advanced heart centre. In addition to Indians, it has treated patients from Bangladesh, Bhutan, Nepal, Mauritius, Hongkong, Kenya and other neighboring countries. The centre has a special interest in the advanced field of cardiac surgery, especially reconstructive operations on infants. • First ever key-hole surgery to close a hole in the heart. • First Dynamic Cardiomyoplasty in Asia. • First in Asia to perform angioplasty from wrist in the field of interventional Cardiology. • First in India to perform Open Heart Surgery on a 9 – day old baby weighing 2.5 kg extensively in the area of Cardiac Surgery. • First time in India, the failing heart of an adult was supported with artificial heart and mechanical circulation for 100 hours. 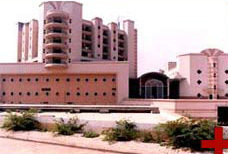 The Christian Medical College & Hospital, Vellore occupies a prominent place among medical institutions in India and in the world as a 1700-bed multicampus complex that is a vital, diverse, interdenominational community. CMCH Vellore affirms a shared commitment to healing of the total person. Tertiary level care services include organ care services advanced cardiothoracic and neurological care. Tata Memorial Hospital is located at Dr. Emest Borges Marg, Parel, in the Central District of Mumbai, a short taxi ride from the local stations, the hospital has private and deluxe rooms. Therapeutic divisions include Surgical Oncology, Radiation Oncology and Medical Oncology. The division of Radiation Oncology is one of the finest in the country with a great tradition. The division of Surgical Oncology too offers world class facilities like the Nd-Yag surgical laser (the first of its kind in the country) and Endoscope Laser Surgery.